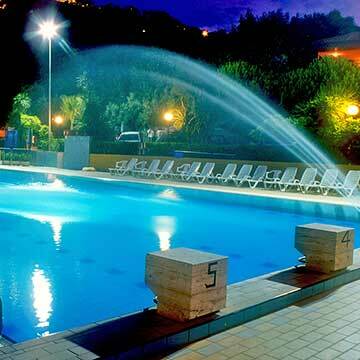 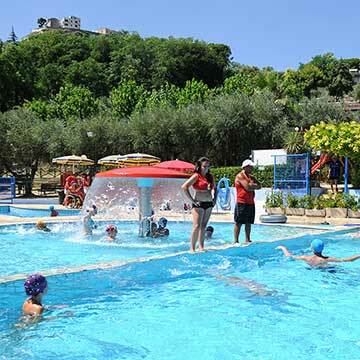 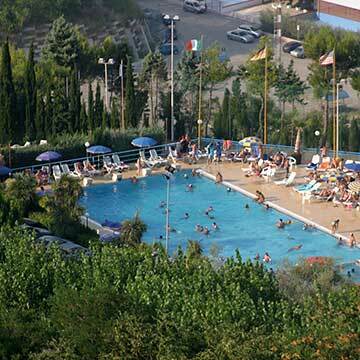 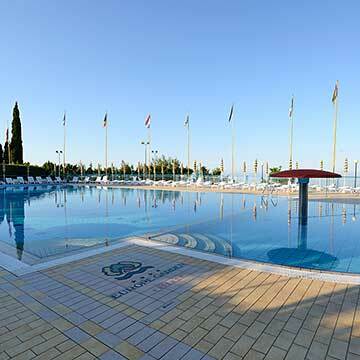 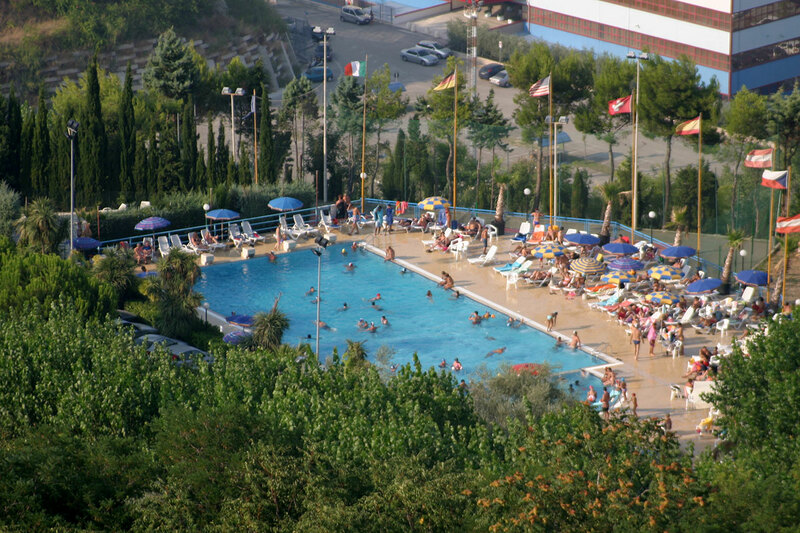 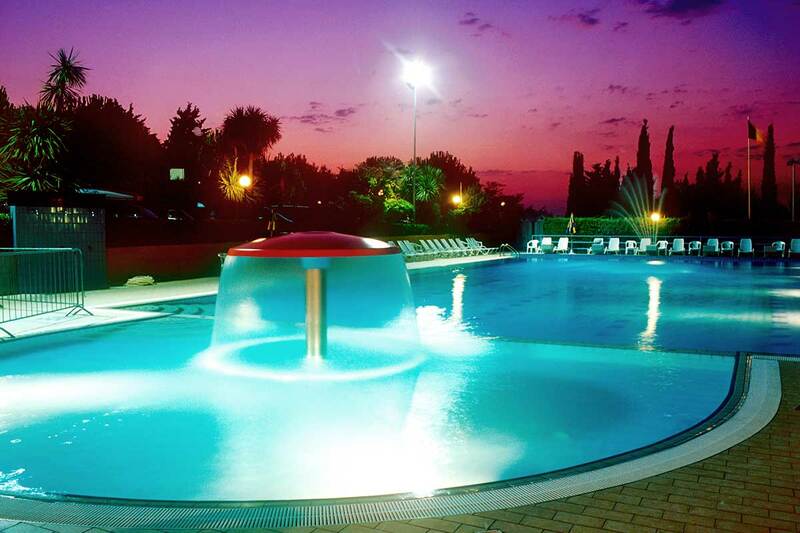 The swimming pool area includes a great number of facilities and many activities for adults and children are offered. 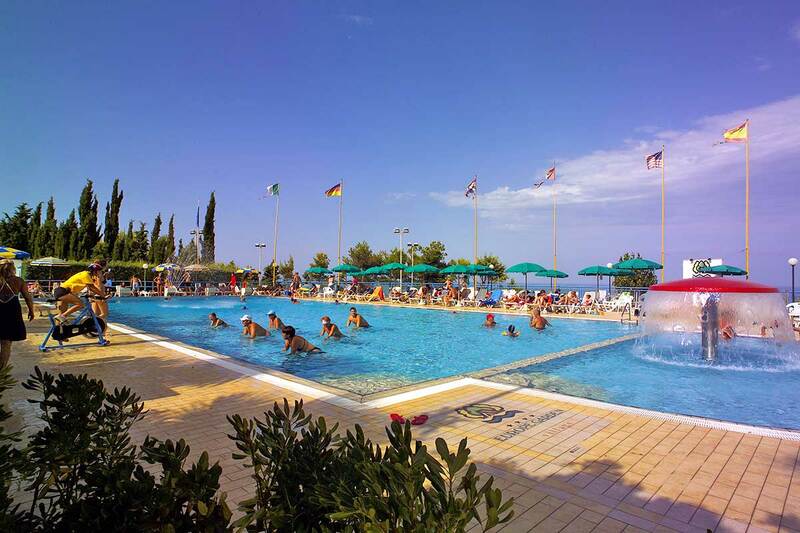 After a morning on the beach, it is enjoyable to lie on the sun beds of the sunbathing area or on an inflatable mattress with the eyes gazing towards the horizon over the sea whilst the sea breeze wafts over you. 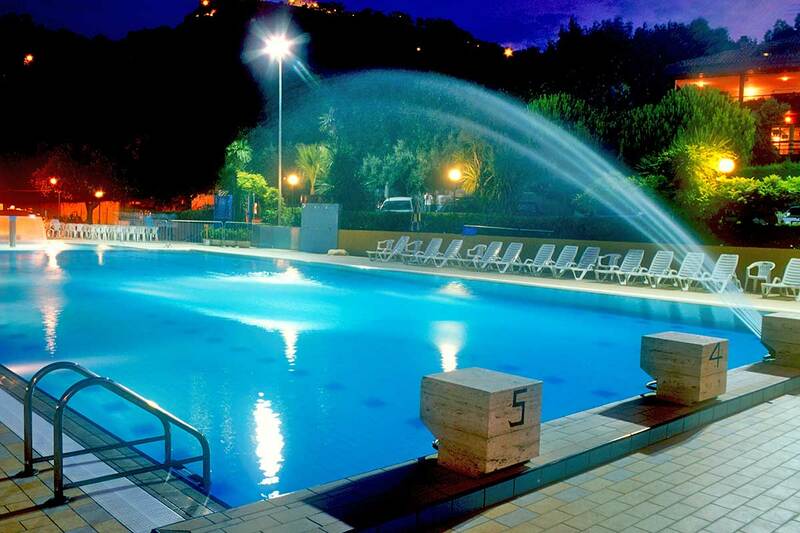 The mushroom and the hydromassage keep mums and babies happy. 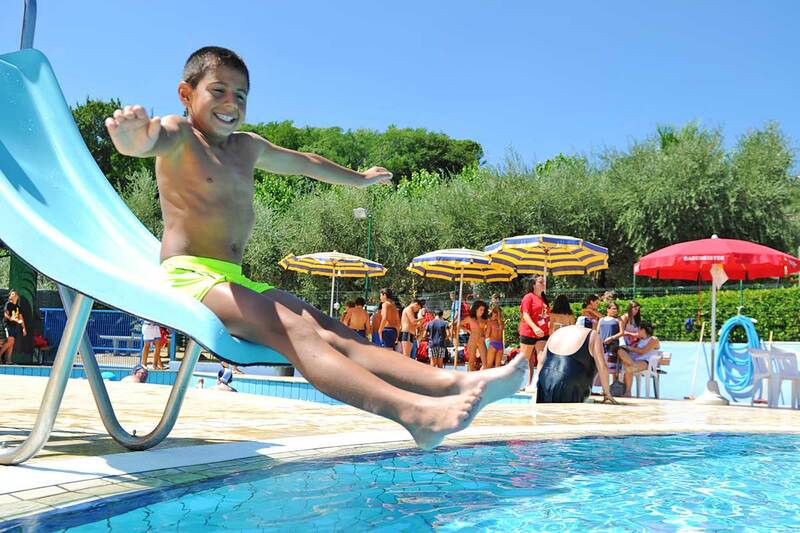 In the semi-Olympionic swimming pool (25 x 12.5 metres) filled with filtered fresh water and with a bottom of varying depths you can do anything; swimming, floating about, play with friends, dive from the starting blocks or from the springboard and surface on the other side by the steps. 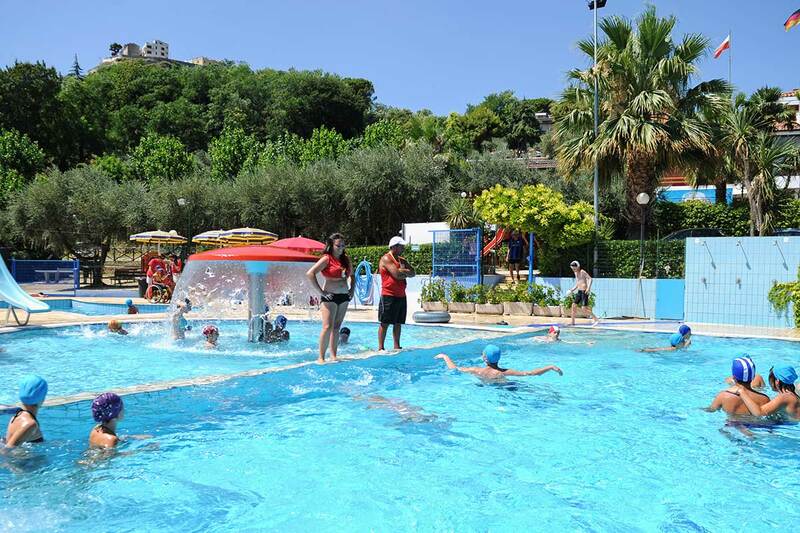 The motor and recreational activities of the small children in the swimming pool designed only for children are controlled by the prepared staff or parents. 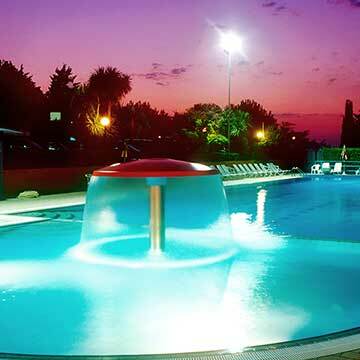 A pool bar satisfies your drinking requirements without having to leave the swimming pool. 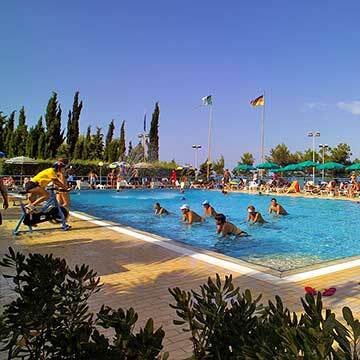 In another area you can transfer from the swimming pool or the sunbathing area to group dancing or aerobics. 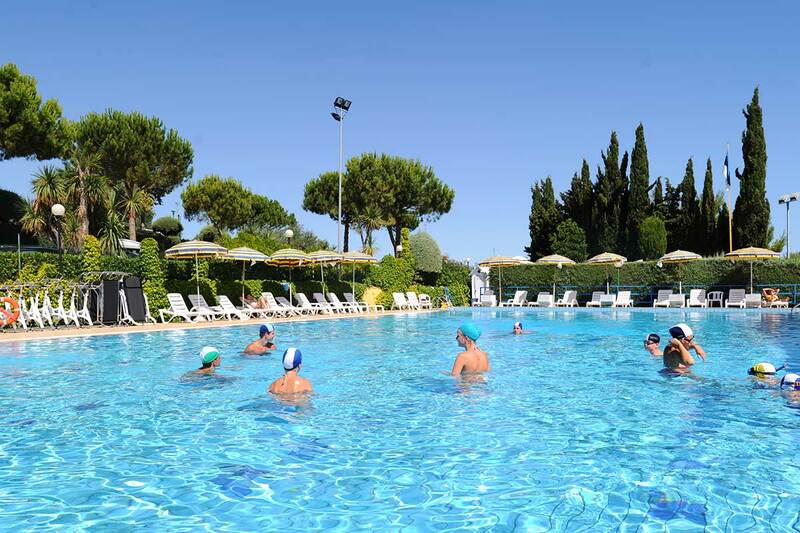 During the week a qualified instructor follows those who want to practice Aquaspin, a sport suitable for everybody and ideal for keeping in form. 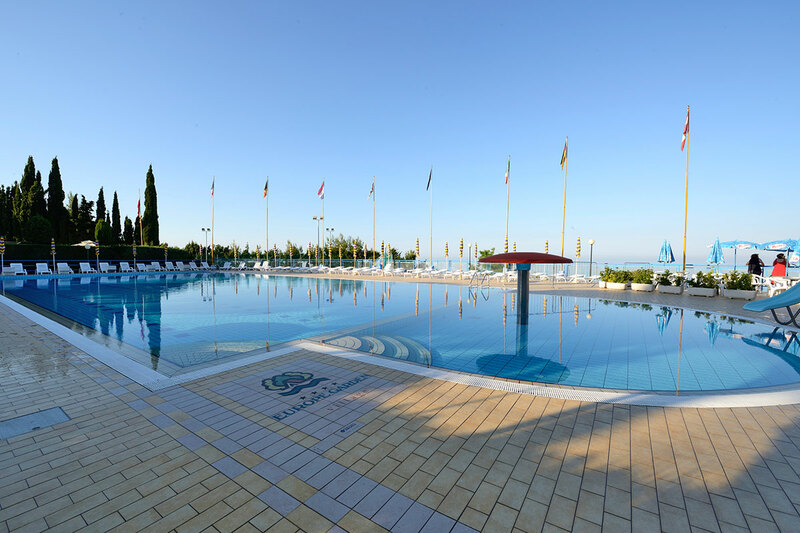 To complete the facilities of the swimming pool, there is an area dedicated to fitness composed of 8 fitness stations for exercises including two exercise cycles.